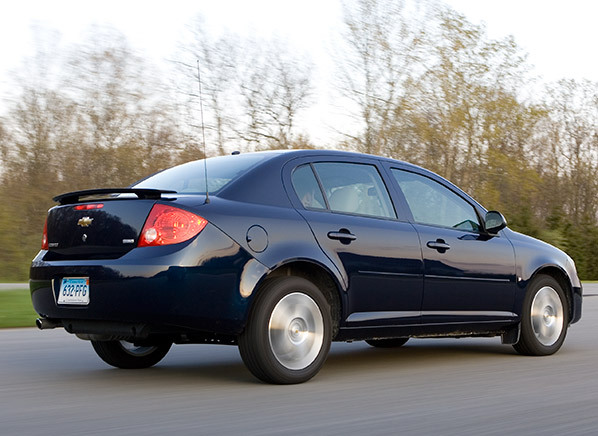 A 2005 Chevy Cobalt, one of the many recalled GM vehicles. When a carmaker recalls more than a million vehicles over an ignition problem that could cause a car to stall and crash without the airbags deploying, a lawsuit is likely. Throw in the fact that the car company knew about the defect for a dozen years, received numerous complaints from customers and dealerships, and is tied to anywhere from 12 to more than 300 deaths, and you have the beginnings of a lawsuit bonanza. Reuters reports that plaintiffs filed what is believed to be first suit against GM in a federal court in Texas on Friday. “GM’s mishandling of the ignition switch defect….has adversely affected the company’s reputation as a manufacturer of safe, reliable vehicles with high resale value,” reads the complaint. The initial plaintiffs, owners of a 2007 Chevy Cobalt, in this possible class-action are not alleging that they were physically harmed as a result of the defect, but claim that GM’s decision to not issue a recall as far back as 2004, created an unreasonably dangerous situation. They are seeking damages, including compensation for loss of the use of their vehicles and repairs and diminished resale value.